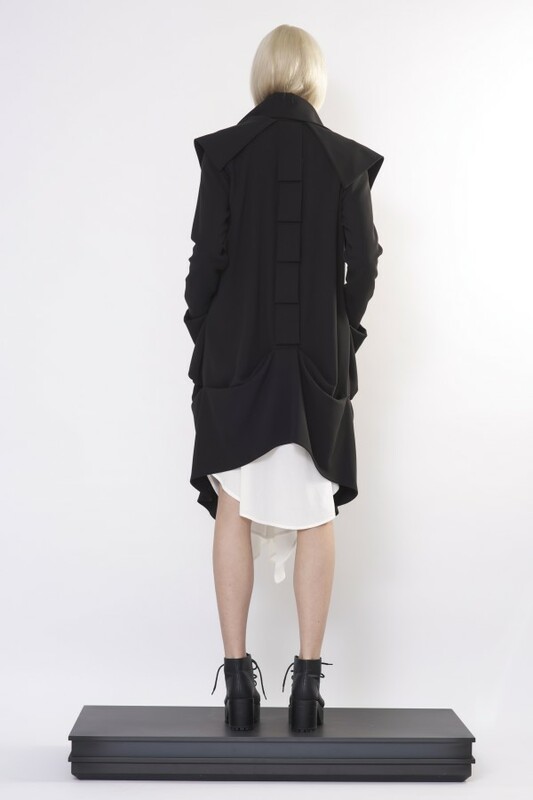 Black midi-length coat has an oversize silhouette through body and is crafted from high quality special wool fabric. The fabric is very comfortable to wear and it doesn't shrink. 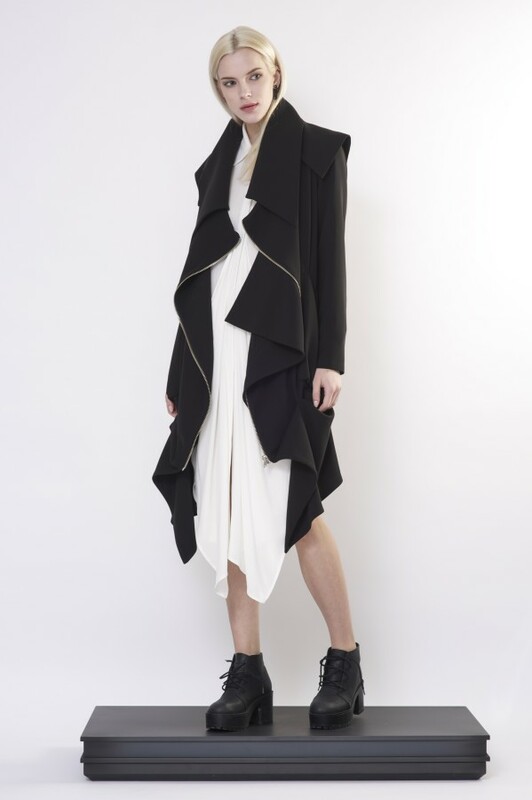 The coat features all over drapes, long sleeves, big collar and wide pockets. The coat is longer at the front and a bit shorter at the back.